Established using the proceeds from the sale of a gold Chevrolet Impala car, Tropex Exports Ltd has developed from sole trader to global trader of construction materials, with an enviable reputation for quality, affordability and reliability in the Pacific region. The company has faced numerous hurdles over the years – its first substantial export to Papua New Guinea never made it as the ship caught fire. The history of the company’s growth includes vibrant accounts of island-hopping sales reps being tossed about the cabin of a small plane during a storm, along with the chickens and goats! 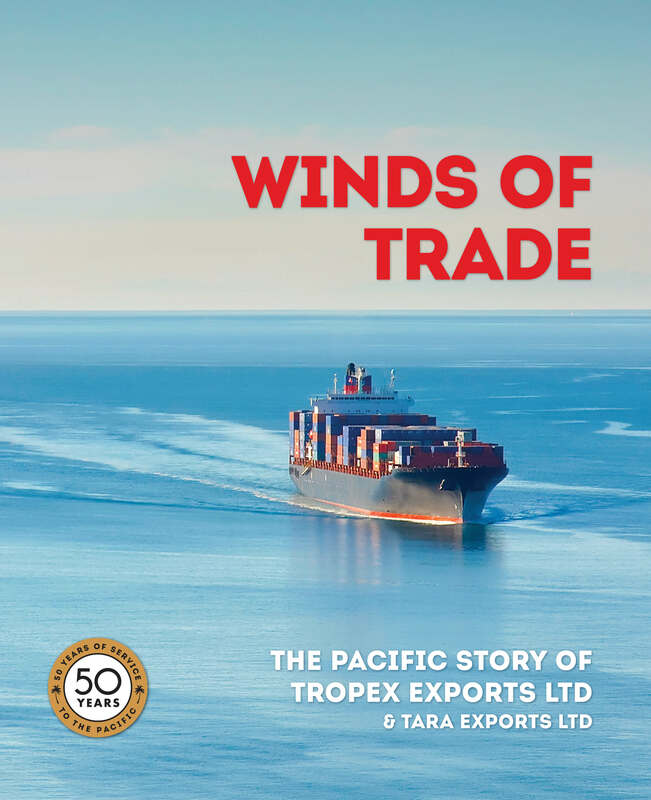 Alongside the Tropex story is the history of its sister company, Tara Exports Ltd. Tara started off in the packing shed of an orchard west of Auckland and is now one of the largest food exporters to the Pacific Islands. This comprehensive company history charts the many changes that have occurred in 50 years of exporting: jet travel, shipping routes, technology, communication and the shifting spheres of political and economic influence in the Pacific region. But most of all it is the story of the people who seized opportunities when they arose and worked hard to make Tropex the success story it is today.